~With almost two months until the NFL draft, the league’s ballyhooed “draft season” unofficially kicks off this week when it convenes for the scouting combine in Indianapolis. 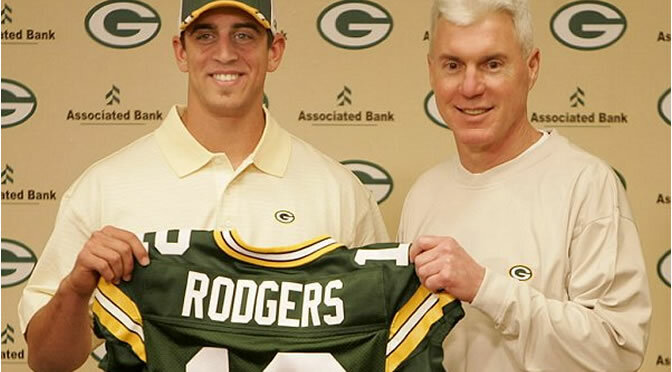 For Ted Thompson, this is Christmas morning. No general manager in the league relies so heavily on the draft to build a roster. Thompson, always a scout at heart, never has shied from showing his affection for the personnel evaluation process. It’s impossible to unlock the secrets inside Thompson’s mind, especially during this time of year. But we can analyze the Packers’ roster and, with more than a little luck, come up with a good idea. Here’s a detailed look at the Packers’ six greatest draft needs. Keep mind the list could change if the Packers fill a need through free agency. 1. A tight end who can stretch the field. It’s too early to discard Richard Rodgers as a player incapable of contributing on the field. The Packers third-year tight end has soft hands and a big frame. He has been a sturdy possession target with 58 catches on 60 catchable balls last season. His 3.3 percent drop rate tied Washington’s Jordan Reed for fourth-best in the NFL, according to Pro Football Focus. Rodgers had a better drop rate than Greg Olsen (4.94), Rob Gronkowski (5.26), Travis Kelce (7.69), Julius Thomas (11.54) and Tyler Eifert (11.86). He also had eight touchdowns, showing he can be a reliable red-zone threat. 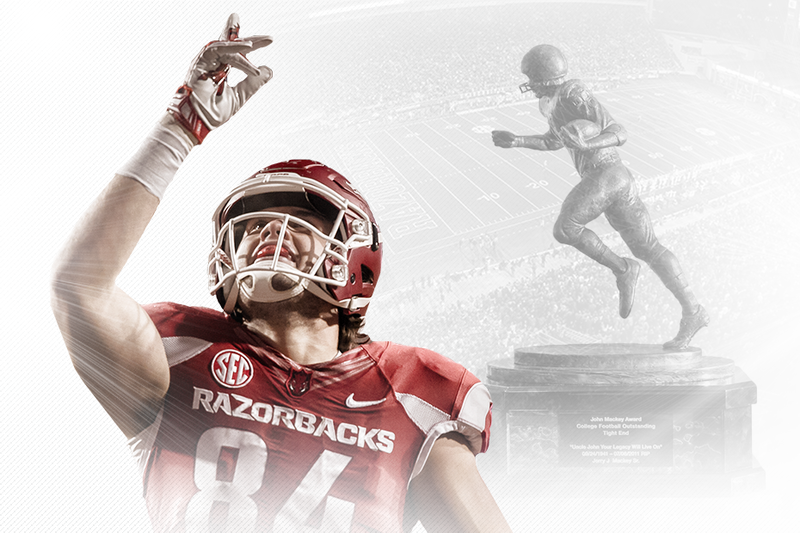 Hunter Henry was voted the best tight end in the nation, and is also head and shoulders ahead of all others in this draft. He’s been a popular mock pick to the Packers at #27. He’s been compared to Jason Witten, who isn’t exactly a deep threat, as free agent Ladarius Green is. Hmm. What Rodgers lacks is the most important trait for a true No. 1 tight end: straight-line speed and an ability to pick up yards after the catch. His 8.8 yards per catch last season were anemic. Maybe the Packers could live with a slow first-string tight end if he were an exceptional blocker, but blocking remains one of Rodgers’ weaknesses. The Packers’ passing game needs a major boost, but their receiver position should be well stocked once Jordy Nelson returns. The group still has plenty of developmental candidates in Davante Adams, Ty Montgomery, Jeff Janis and Jared Abbrederis. The Packers’ tight end position is a different matter. Not only has Rodgers fallen short of being a No. 1 tight end, but the Packers’ depth at the position is nonexistent. The Packers have no need greater than a legitimate No. 1 tight end with the speed to stretch the field and athleticism to make plays as a runner after the catch. Even if they draft one in the first round, they also could benefit from signing a tight end in free agency. And even if the Packers add multiple tight ends to their roster this offseason, Rodgers still could serve a purpose in a complementary role. 2. An inside linebacker who can drop into coverage and be on the field in the dime package. The biggest obstacle preventing Clay Matthews from returning to outside linebacker is the lack of an inside linebacker who can drop into coverage, especially in nickel and dime packages. It appears the Packers found a run-stuffing inside linebacker with Jake Ryan in the fourth round of last year’s draft. By the end of the season, Ryan was matched with Matthews in the Packers’ nickel defense. Sam Barrington will add depth after returning from a season-ending foot injury in last season’s opener. 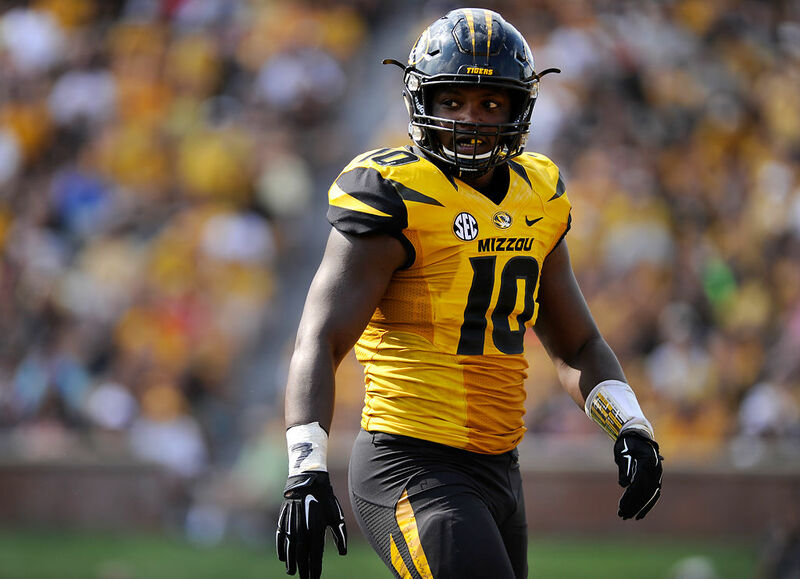 Mizzou’s Kentrell Brothers may possess the speed to cover well at ILB for the Packers. He’s not a projected first round pick. But neither was Damarious Randall last year. The duo of Ryan and Barrington might hold up in the Packers’ 3-4 defense, but it’s hard to see them being an ideal nickel combination. And it certainly doesn’t protect the Packers’ defense in dime situations. Joe Thomas was the dime linebacker last season, but it’s unlikely he returns. Thomas was signed to play the dime linebacker spot so Matthews didn’t have to do it. 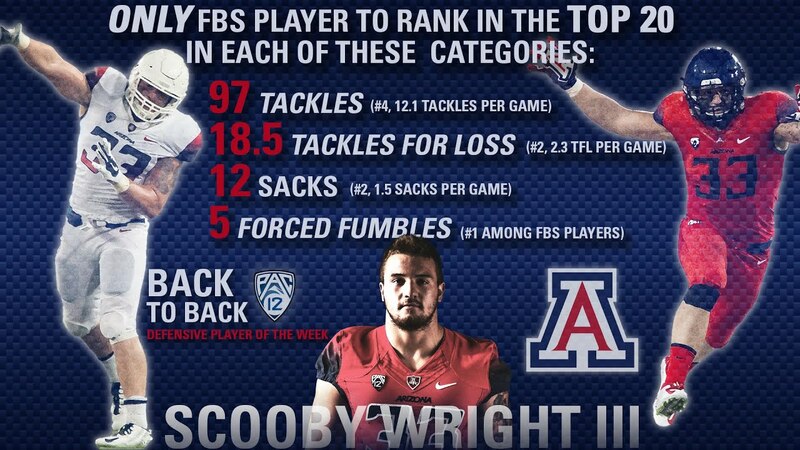 Scooby Wright would make a great Packer. He was last year’s Pac-12 Defensive Player of the Year. He might not be fluid enough to be a good cover backer, but he will be better than Jake Ryan and Joe Thomas were last year. It’s not a great year for a team to have tight end and inside linebacker as its two biggest needs. Both positions have thin draft classes. Fortunately for the Packers, they could get away with drafting an inside linebacker who isn’t a complete prospect. The position needs a boost in athleticism, specifically a player capable of covering running backs and tight ends. The Packers certainly could double down on their pass rush and draft two outside linebackers, one early and one late. That’s especially true if they fail to draft an inside linebacker who could move Matthews back to the edge. It may seem strange for the pass rush to be this high on the needs list. The Packers tied for seventh in the NFL with 43 sacks last season. Regardless, they would be wise to aggressively search for opportunities to bolster their pass rush before the 2016 season. Ohio State’s Darron Lee might be one of those first round surprises from Ted Thompson this time. He’s fast, very athletic, and as seen here, is capable of shedding a block and stopping a running back in his tracks. Much of the Packers’ pass-rush production last season could be attributed to Julius Peppers’ Pro Bowl year. Peppers had 10.5 sacks during the regular season, but he also turned 36 last month. The Packers started tapering his snaps in 2015. They likely will taper them even more in 2016. Behind Peppers, the Packers don’t have much depth on the edge. Nick Perry and Mike Neal are free agents, and neither provided much pass-rush production. Matthews may be stuck at inside linebacker. Jayrone Elliott has potential, but he’s raw and has played mostly special teams. Even if it’s just for depth, the Packers figure to target outside linebacker in the draft. 4. A versatile defensive lineman with pass-rush ability. Mike Pennel received a four-game suspension Friday for violating the NFL’s substance-abuse policy. The punishment is likely to cost Pennel half the season, considering it usually takes defensive linemen a few weeks to round into optimal playing shape after returning from a long absence. Pennel finished last season as the Packers’ starting defensive end opposite Mike Daniels, lining up across offensive tackles as a five-tech in the base 3-4 defense. It was a job he seemed to have locked up for next season before his suspension. Now, the Packers will have to come up with another solution for the early part of their schedule. Alabama big man Jarran Reed has been a popular mock pick for the Packers so far. Pennel’s suspension moves defensive end higher up the list of draft needs, but it was always something the Packers could target. The Packers could use a pass-rush upgrade on their defensive line, preferably an interior rusher who can play nickel full time and line up at defensive end opposite Daniels in the base defense. It wouldn’t be a surprise for the Packers to use a first-round pick on such a player, if one is available. The Packers are one year away from seeing their strong starting offensive line fracture. David Bakhtiari, Josh Sitton and T.J. Lang become free agents in 2017. It’s unlikely all three will be re-signed. So depth is about to become critical for a unit that was already in dire need of it late last season. Behind the Packers’ five starters, there were few capable replacements. The Packers are especially short of depth at offensive tackle, an issue that was exploited when Bakhtiari missed the final two games of the regular season. J.C. Tretter was the only offensive lineman who showed he was capable of playing well at tackle, in addition to starters Bulaga and Bakhtiari. Remember, Bulaga has been injury-prone, and he cannot be counted on to beat that bad luck another season. The Packers need at least two guys who can play at tackle and not get Rodgers killed as he almost was in Arizona week 16. The Packers need to bolster their depth chart at tackle, but they also need to keep an eye on the horizon. The spring of 2017 is going to present some really tough decisions. Those decisions would be made a little easier if there were capable replacements waiting in the wings. There was good reason Matt Forte became a popular rumor when the Chicago Bears decided they would release him this offseason, despite the chances of Thompson ever signing a 30-year-old free agent tailback being remote. Running back D.J. Foster out of Arizona State may be a nice day-three pick with his receiving ability. He was asked to play some WR last year for the Sun Devils, and showed that he can run routes, and catch the ball, better than, well, any running back on the Packers roster. He might make a great third down back in the mold of Kevin Faulk. The Packers need an insurance policy in the backfield. Even if Eddie Lacy returns to the form he showed in his first two seasons, the backfield could use a little extra kick. James Starks is a free agent this spring and could return if the price is right, but that probably means a league-minimum deal. John Crockett is promising, but unproven. A running back who can double as a receiver out of the backfield would be the kind of weapon this offense is looking for, as well as a nice complement — and perhaps future replacement — for Lacy.